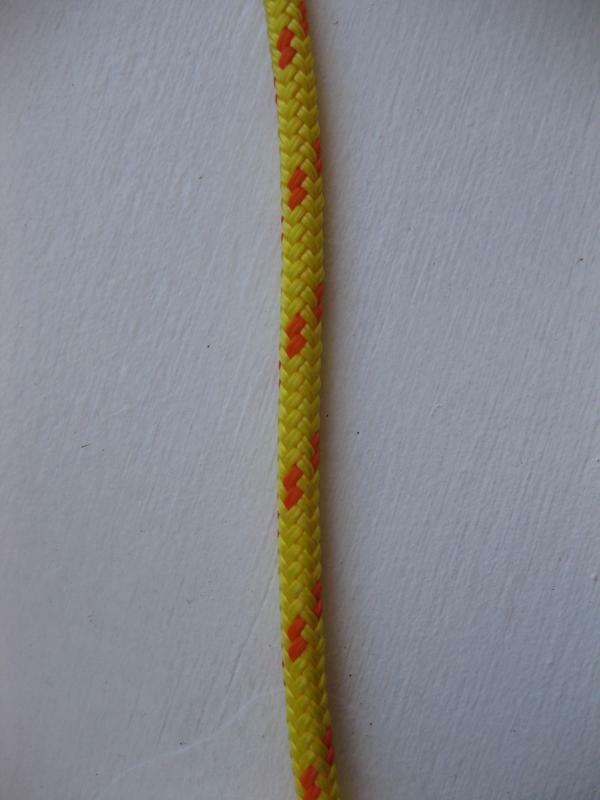 Double Braid MFP Braid - 1/4" Diameter - YELLOW with ORANGE TRACERS. High visibility in the water. Ideal for tow lines, heaving lines and water rescue lines. Made with 100% multi-filament polypropylene, it floats in the water and is very flexible and extra strong. Tensile strength 1,225 pounds or 556 kgs. Order by the foot.